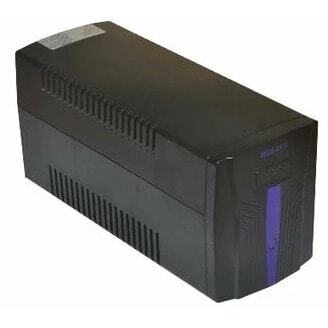 BLUE GATE Uninterruptible Power Supply (UPS)1.530KVA will deliver uninterrupted power supply for your computer and other appliances at all times. It is the ideal power backup option in events of power outage or power cuts to keep your appliances running. This UPS automatically switches over to backup mode whenever there is a power outage; you will not experience any form of interruption of work or entertainment. This offline UPS has a lightning and surge protection that will ensure all the appliances connected to it are fully protected. The UPS automatically recharges itself even if the UPS is switched off. It also works well with generators which means it will charge when the power supply is from a generating set.